Next General Meeting & Board Nomination Meeting coming up on Tuesday October 16th!! 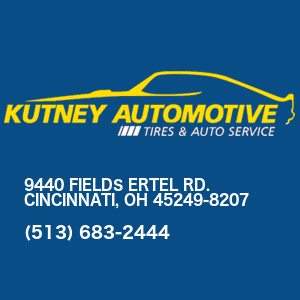 Hello Cincinnati Region SCCA members! It’s been a very long and winding road this season with all of the events your Cincinnati Region has hosted in 2018 and a few more still left to run! But more on that later…. I wanted to take a short moment to remind everyone of our upcoming General Meeting 8PM this Tuesday on October 16th at the Mill Race Banquet Center. This is our annual Nomination Meeting to form the ballot for our 2019 Board Elections on Tuesday November 20th. Each November we vote for one year terms for the Region Executive, Assistant R.E., Treasurer and Secretary. Then we also vote in 3 members as Board-Members-At-Large for a 2 year term. To be on the ballot you must be nominated at the October General Meeting and a current Cincinnati Region SCCA member in good standing. If you are interested in more information for any of the positions, please contact our region nominating committee; either EB Lunken or Jim Clark by clicking here. 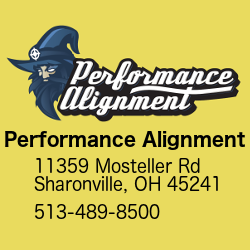 At our events this year you may have heard about the initiative Cincinnati Region is sponsoring to have an approved SCCA License Plate available in the state of Ohio. We are gathering over 150 signatures to support the petition for the opportunity to purchase a license plate with the official SCCA Logo on the plate. In order to sign the petition you must have an Ohio Drivers License and then state an Ohio license plate number that your are listed on. The petition does not require you to buy the plate once it becomes available so there is no obligation to buy it, just basically endorsing its existence. Once approved the plate needs to be purchased by a minimum 50 times across the state to be renewed each year. The petition will be at the next events coming up!! Speaking of our next competition events… the next RallyCross should is on Saturday 10/27, the last Solo points event is 10/28 and our last RoadRally for 2019 will be Saturday 11/3. Make sure to check our website and Facebook for event updates! And finally, please save the tentative date of Februarye 2, 2019 for our Annual Awards Banquet at the Mill Race Center. Confirmation of the date and more details are to come! Once again our Nominating Meeting is coming up this Tuesday October 16th, look forward to seeing you there! 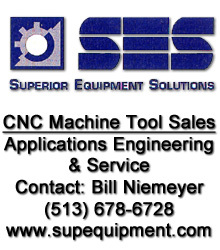 For being in the middle of winter, Cincinnati Region SCCA has been super busy! We kicked off our year with our first General Membership meeting for 2018 on 1/16, thank you for all that attended! A reminder that our General Membership Meetings are on the 3rd Tuesday of every month at 8pm at the Mill Race Banquet Center. Immediately after that meeting, Scott Bitzer (RallyCross Chair & Board Member at Large), Tact Takagi (Webmaster & Board Member at Large) and I attended the 2018 SCCA National Convention. The convention this year was jam-packed with information filled sessions and meetings. The initial highlight was being introduced to our new SCCA President & CEO, Michael Cobb. Mr. Cobb gave an impassioned, hopeful, and thoughtful presentation during the Annual Meeting and the Leadership Kickoff Meeting on the current state of the SCCA. 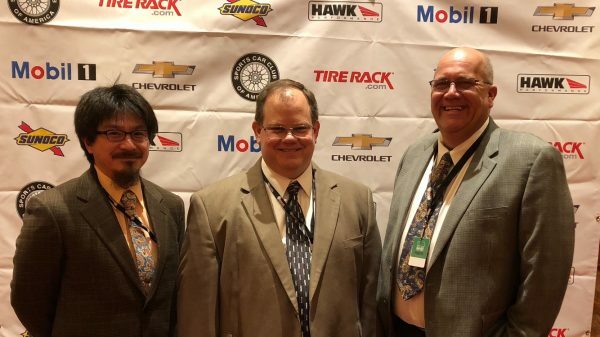 He presented his 2018 leadership focus for our club that “We are all here to serve our Members and those that serve the Member.” He gave goals to continue reaching for in our local regions to fulfill our core mission in that “We exist to fuel a safe, and exciting motorsports experience for auto enthusiasts.” Other sessions of note included more detail of the newest race worker specialty “Data Acquisition/Race Data Technician”. This specialty is responsible for collecting and analyzing data to provide the CRB and the Advisory Committees with valuable information to make decisions on car classifications and Balance of Power (BoP) adjustments. If you are interested in more information about this new worker specialty please contact me! During the R.E. meetings and panels we met with our recently re-elected Area Director Marcus Meredith. A big topic of discussion between the R.E.’s was the organization of Great Lakes Division and the upcoming Spring Training.in Findlay, OH on March 10th. During the Road Race meeting there was review of the Runoffs success in 2017 at Indianapolis and talk of the upcoming Runoffs at Sonoma Raceway. Rumor at the time for 2019 Runoffs was Virginia International Raceway (VIR was confirmed the week after we returned). There was also much discussion the following day regarding brainstorming of events that could possibly be done in connection with our existing Solo, Rally and Race events to increase participation, we’ll be talking about some of these at upcoming committee and membership meetings for feedback. And finally on the last Saturday of January on the 27th we held our Annual Awards Banquet at the Mill Race Banquet Center. We easily had the best turnout for this event in many years and I want to thank everyone again who came out for this event! Many trophies and awards were handed out and there will be a full recap with photos on the website coming soon! And since I have this forum, I wanted to say a few words on being the latest recipient of The Joel Williams Award. 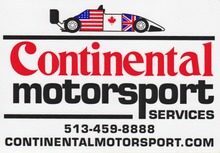 Over the years I have had an incredible opportunity to work with & for a group of people that are passionate about competing & organizing motorsports events in our Cincinnati Region and at the Divisional and National level. The team effort to meet and rise above the challenges to move our club forward are sometimes astounding for a “little” not-for-profit organization. I am humbled and honored for the recognition this year. The future looks very promising for our Cincinnati Region and I can’t wait to see what comes next! I don’t know about you, but I’m ready for spring! 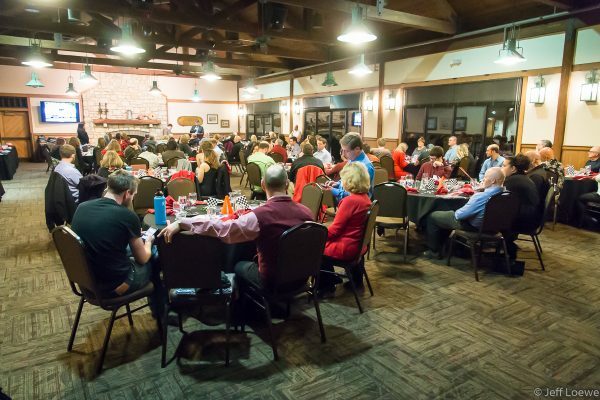 Jan 27, 2018: Cincinnati Region SCCA year end awards banquet at the Mill Race Lodge at Winton Woods. The 2017 Season has been flying by and you will see some great recaps from our event chairs, as well as a few announcements on events to tie up the year! I have a few scheduling reminders and announcements to make. Our next General Membership Meeting on October 17th at 8PM at our normal meeting place (the Mill Race Banquet Center) will be our annual nominating meeting to create the ballot for our club ELECTIONS in November, if you are interested in serving your club, be sure to attend! Our November General Meeting and 2018 Board ELECTIONS will be on November 21st at 8PM. On this election night we will also be voting on the proposed updates to our Region By-Laws! We will have NO General Meeting in December and kick off the year with our first meeting in January on January 16th. And finally, MARK YOUR CALENDAR for JANUARY 27TH, we have confirmed the date for our annual Awards Banquet to be held that evening at the Mill Race Banquet Center, more details to come!! Enjoy the fall weather and see you soon! 2016 was an incredibly busy year for Cincinnati SCCA and we are getting ready to recap it with a BANG! Our Annual Awards Banquet is coming up quick on January 14th, 2017! 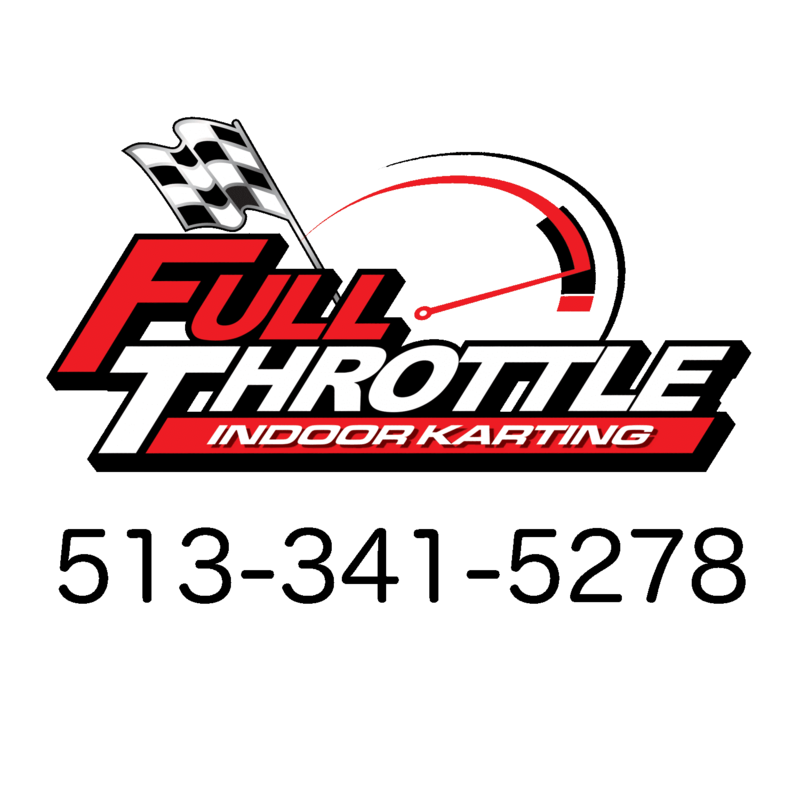 The turn-around time for registration is very short so please sign-up online at myautoevents.com (search for “Cincinnati Region SCCA” and you will find the Banquet sign-up). At the banquet we will also be celebrating our 60th Anniversary!! So please come out for an evening of food, fun and great door prizes. If you have something you would like to donate as a door prize, please bring it to the banquet! Our past November meeting was also our annual election night for our new Board. I first would like to thank our outgoing Board Members Chase Heikkila, Nathan Roberts and Christy Graham for their many years of service on the board and as they continue with other responsibilities and activities to support our club! Chairman of the Board – Bill Niemeyer, Jr.
Our 2017 Event Schedules are being worked on and will be announced soon. Please check our website for updates and info. Have a safe winter and look forward to seeing everyone at the Banquet on January 14th at Mill Race! See you soon where the rubber meets the road!